Marketing one of the major purchases of their lives to Americans was an exacting process that involved not only traditional advertising but also a crucial item that extolled the virtues of the cars: the brochure. Often oversize and sumptuously produced, including acetate overlays with fabric and paint swatches, brochures were only available at dealer showrooms or auto fairs—hence specimens of antique and vintage car brochures are rare collector’s items today. Frequently overlooked in design and automotive histories, this piece of ephemera is a surprisingly lucid mirror image of American tastes, consumerism, and buying habits since the dawn of the automobile. 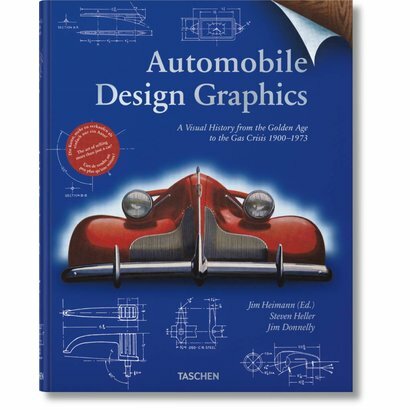 Automobile Design Graphics 1900–1973presents for the first time a comprehensive overview of this mostly forgotten breed of collateral advertising. From the most obscure (Tucker, Ajax, Columbia) to the most iconic (General Motors, Ford, Chrysler), the visual history brings together over 500 reproductions from these rare and collectible customer brochures. 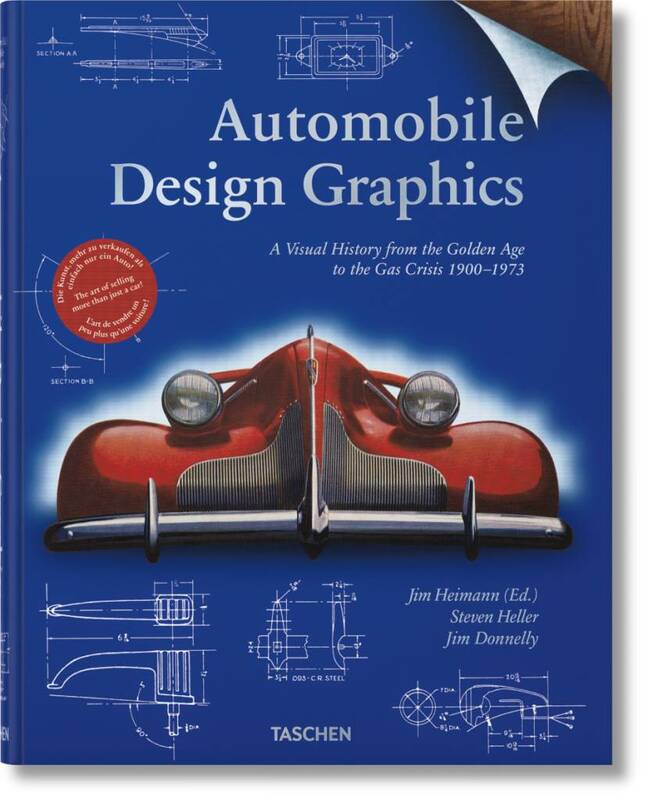 Across eight decades, they present not only some of the finest cars, but also some of the best illustration and graphic design of the 20th century.